Let's face it, good gift ideas are hard enough to come by let alone trying to get a gift for a man who doesn't holds his cards close to his chest. Typically, we play it safe and buy ties and t-shirts, but why not do something a little more this time around? Between gadgetry, sports gear/novelty items, and money you generally cannot go wrong. 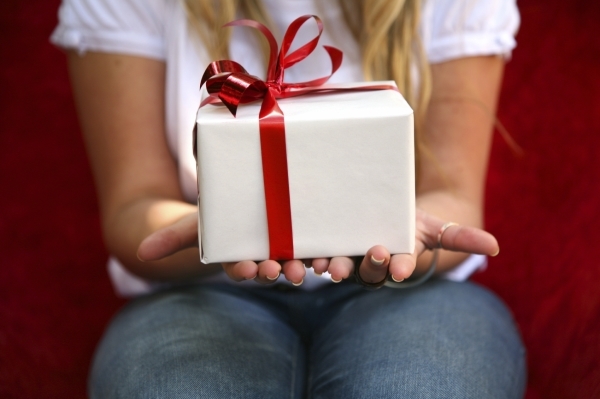 However, gifting money is a bit of a cop out to some people, most men would actually appreciate the straight forward manner in which you gave them something. Take a look at what kind of phone that particular man in your life uses. Android or Apple? Get them app store gift cards, with those, they can purchase apps, get music, movies, or buy content for apps/games that they already have. The good thing about this gift is that it will get used unlike some gift cards that can sit around, like a gift card to an outdoor sports store someone got because they mentioned that they enjoy fishing once at a family gathering. Sports and sports novelty items are fantastic gifts. A blanket, hat, shirt, watch, etc... with their team on it would generally go over well. You may think that going the socks route would take you down the path to grandparent territory, but more and more men are getting colorful socks from sock subscription service , and sock clubs. Subscribing someone to one of these sock clubs could be a fantastic and unexpected gift that almost any man would get a little excited about. For a lot of people, budget is an issue, but if budget is not an issue for you, plan an activity that you'll get to do with the person a "Holiday Adventure" planned for the upcoming summer. You'll discover that the best gift you can give someone is a memory that they'll hold onto for years. Most importantly, you'll want to make sure you know who you're getting a gift for. If you're shooting into the wind, you're most likely going to purchase a non-memorable purchase that will get the obligatory thank you and mistakenly be added to the wrapping paper trash pile. At the end of the day, picking a gift for a man is both simple and complicated at the same time. If you just phone it in, you can get some nice dress shirts, a tie, maybe some fancy cuff-links, but with a little thought and interest in the outcome, there are some fantastic gifts out there that are a few dollars away.